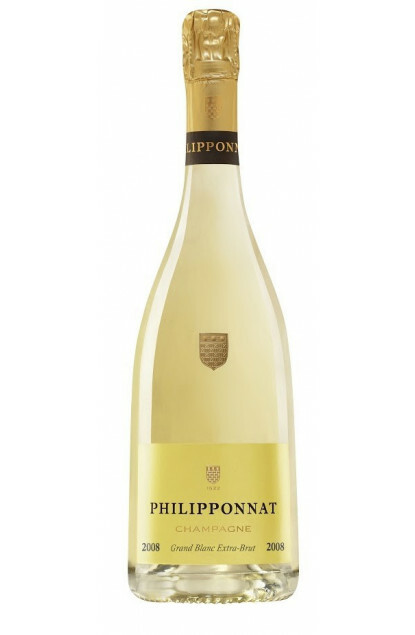 "The expression of Chardonnay from a single harvest by Philipponnat." This Champagne is a blend of Grands Crus and Premiers Crus, from a single harvest, a single year and a single grape variety, Chardonnay. The wines are from the first press and vinification took place in part in wooden casks. The ageing process, on lees in bottles and in cellar, went on for 5 to 7 years. The colour is a clear and bright gold. To the nose, persistent notes of citrus and white flowers. To the palate: wide and nourished with touches of tangerine, grapefruit, Menton lemon. Lingering finish with a great vinosity. A Champagne with a great potential of ageing for at least 5 years, in your cool cellar, away from light and laid flat. To enjoy around 10 to 12°C. Perfect as an aperitif with canapés/shellfish or with an entrée of smoked salmon or Auvergne trout. For almost 5 centuries, the Philipponnat family has left its mark on the Champagne region. They succeeded one another on the lands of Aÿ, cradle of the family since Apvril Le Philipponnat, vineyard owner in the locality « Le Leon », between Aÿ and Dizy since 1522. In the 16th century, the family’s ancestors were wine-growers and wine-merchants, suppliers for Louis XIV, Magistrates, and Maîtres Royaux of the City of Aÿ, which was under direct control of the Crown according to the charter of Henry IV, King of France, who was referred to primarily as Sieur d’Aÿ, among all his other titles. Established in the heart of the Champagne region, the Philipponnat House possesses a unique legacy: its historical wine cellars dating back to the 18th century were those of the Château de Mareuil, a village at the heart of the Champagne region, classified as Premier Cru. The Philipponnat House also possesses a unique vineyard in the region: the Clos des Goisses, a 5 hectares hillside with a slope of 45 degrees that gives it its name (goisse in champenois refers to a very steep hillside), extremely rich in pure chalk, thus providing olfactory and gustative strength due to its very unique soil. Truthful to its charter, Premiers Grands Crus only upheld from this famous House of Champagne the ones that were either classified Premier Cru or Grand Cru.